Marchionne says EU needs to get involved in 'painful' restructuring. TURIN -- Fiat CEO Sergio Marchionne criticized German automakers for rejecting EU intervention that would help the region's automakers reduce excess production capacity. "The issue is on the table, and we're trying to understand what the German position is," Marchionne said at a Fiat press conference on Wednesday. 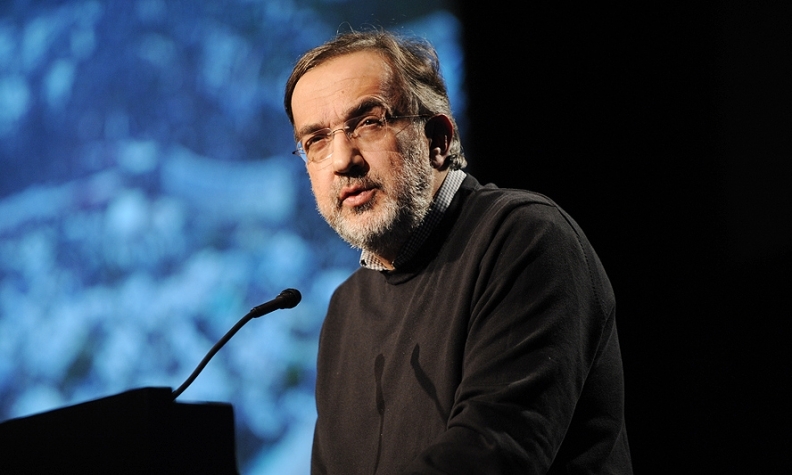 Marchionne is current president of ACEA, the European automakers lobbying association. The majority of ACEA members agree that overcapacity is a problem in Europe except for Volkswagen, Daimler and BMW, Marchionne said. "The three German makers appear united against an EU intervention. But no one can say that overcapacity is not a problem in Europe," he said. On March 20, Marchionne said the EU needs to get involved in a "painful" restructuring for European carmakers, including plant closures, because "if you leave it to the national countries, it won't happen." Plant closures must be distributed across countries and producers, he said. German automakers continue to sell record numbers of cars globally, boosted largely by demand for their Germany-built models in markets such as China and the United States. In the first quarter, BMW Group's global sales grew 10 percent to just over 400,000. Daimler's Mercedes and Smart brands sold a record 340,827 vehicles, a rise of 15.3 percent. German automakers, together with Korea's Hyundai-Kia, had the highest capacity utilization at their European plants in 2011, according to financial analysts at Morgan Stanley in London. BMW used 96 percent of its European capacity, Hyundai and Kia used 95 percent, Volkswagen's capacity use was 88 percent and Daimler's was 85 percent, Morgan Stanley said. PSA/Peugeot-Citroen used almost 80 percent while Renault-Nissan stood at 74 percent, Ford at 72 percent, GM at 71 percent and Fiat at 65 percent. An automaker normally needs to use around 80 percent of its installed capacity to make a plant profitable, industry observers say. Morgan Stanley estimates that this year all automakers operating in Europe will have lower capacity utilization, except for Hyundai-Kia, which will be marginally up, and Toyota which, thanks to the new Yaris minicar, will increase its utilization rate to 72 percent from 63 percent last year. On March 23, Volkswagen sales and marketing boss Christian Klingler said that the Europe's car industry needs no help from Brussels to close factories. Asked what he thought of the comment by VW's Klingler, Marchionne said he would have preferred that it had been made by CEO Martin Winterkorn rather than by one of his lieutenants. "When Fiat speaks, I speak for Fiat," Marchionne said.